Over the course of this incredible 8 tour trip across the island, you’ll experience towering mountains, beautiful valleys, ancient temples, and oceans that stretch off into the distance. Day 2: Discover the ancient temples of Lugang and explore the winding alleys, unique art and delicious cuisine. On this relaxed, round-island tour, you’ll experience towering mountains, beautiful valleys, twisting rivers, ancient temples, and oceans that stretch off into the distance. You’ll see the beautiful Sun Moon Lake, drive through the largest marble canyon in the world at Taroko Gorge, take a boat ride on the Love River, and that’s just scratching the surface. The 8-day itinerary allows us to provide a relaxing, stress free island tour experience. If you’re looking to experience as much of Taiwan as possible minus the hectic rush of three or five day “around the island tours,” this may well be the perfect tour for you. After meeting up in Taipei, we'll head down the west coast, stopping to visit some of Taiwan's most photogenic relics from both the Japanese colonial era and beyond. We'll take a lesson in Hakka pound tea making in Miaoli before reaching Taichung where, after checking into our hotel, we'll dine at the city's most popular night market. After breakfast in Taichung, we’ll head to the ancient town of Lugang, often calledTaiwan’s city of temples.We’ll visit a couple of Taiwan’s oldest temples before exploring other parts of the town itself, including the Lugang Osmanthus Alley Artist village. Afterward, we’ll head into the mountains to visit majestic Sun Moon Lake! Day three is all about mountains as we head from Sun Moon Lake to the mountain town of Jiji. We’ll visit two temples standing as testament to the earth’s raw power before heading further into the hills to the old market street of Fenqihu for lunch. Afterwards, we’ll head to hike among the clouds through the verdant forests of Alishan. Having reached Taiwan’s southernmost city, it’s time to head to its beautiful east coast. After driving through Taiwan’s banana belt, we’ll hit the pretty east coast town of Taitung to explore the areas natural ecology, prehistory and indigenous cultures. We’ll spend the sixth day exploring the landscapes considered by some as Taiwan’s most beautiful, driving through the island’s scenic Rift Valley. In addition to being where two tectonic plates meet, it’s also where Taiwan’s best rice is grown. We’ll stop at the Tropic of Cancer marker, visit a Japanese colonial era sugar factory that’s been converted to ice-cream production, and have a wonderful time in general surrounded by bucolic splendor before reaching the coastal city of Hualien. We’ll spend the seventh day of our tour in Hualien county, enjoying magnificent oceanfront scenery, absorbing the Zen vibe at a Japanese style temple, paddle boating on scenic Liyu lake and eating amazing food at Hualien’s lad back seafront night market. We’ll spend the final day of our eight day Taiwan adventure exploring world-renowned Taroko Gorge National park, enjoying a guided trip of the park’s gorgeous gorge, rapid rivers and wonderful waterfalls. After experiencing the majesty of Taroko Gorge, we’ll slowly make our way back up the east coast, pausing beneath the Qingshui cliffs (Taiwan’s largest coastal cliffs) before heading back to Taipei. I can't wait to see Taiwan again! Our tour guide, Gordon Chen, was fantastic! We had a wonderful time on the eight-day round trip tour. Every stop was an amazing experience, and Gordon took us to the best places to eat! Definitely would recommend MyTaiwanTour. I can't wait to see Taiwan again! Private 7 Night Tour around Taiwan Our driver/guide Steven Chang made our trip both enjoyable and memorable. His English is perfect. He is a delight with a warm sense of humour. All requests were met without hesitation and expertise. He is exceptionally knowledgeable and proud of his lovely country. We were grateful to have him. Thank you Steven. We travelled for 7 nights. We chose our own hotels which was a bonus to be able to do. The car provided was modern, very comfortable and clean. We preferred a 9.30 am daily start. He met this with usual smile and agreement and efficiently organized each day. In addition to the stated itinerary he was happy to suggest and drive us, to and from, Night Markets to visit. Great fun. Again many thanks. If I was to return I would insist on having Steven look after us again. The company itself was professional and very easy to organize this trip through. We also have no hesitation in recommending this tour company. Many thanks Casper for your organizational skills and your selection of Steven for us. We had a wonderful time. My Taiwan tour offers the best quality of service and tour. The guide was very knowledgeable about the Taiwanese culture, attractions, and local food. Their customized service is way better than other group tours, and the guide was very caring as well. My friend and I join the around Taiwan ten days tour and we really enjoin with the knowledgeable tour guide. We have seen Taiwan most beautiful scenery from the north to the south. During the journey my favorite part was Taroko national park I was really surprise that the gorge would be closed to cars, and the scenery is stunning. If you have an interest in geography or geology then this is a dream day out. We went on some of the walks in the park too. From start to finish, the experience was relaxed and fun. 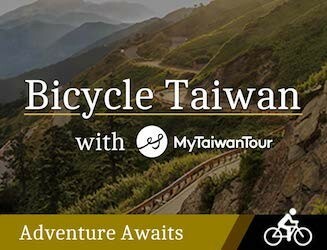 I will surely recommend if you have time to explore this amazing island try your travel with My Taiwan Tour! 285 people have browsed this in the last week.